Video of the Week: Double-Kill!!! The Academy is a new section of the app that’s now the central hub for hero and game information. If you want to learn more—if you want to improve your play, tactics or mechanics—the Academy is the place to be. In update 1.0.13, we begin the rollout of a slew of Ciderhelm videos covering all phases of the game at all skill levels. But as a start, we wanted to load up the Academy with videos that will help brand-new players get the hang of things before muddling Public Matches with confused or uninformed play. In other words, if they scroll through and watch all nine videos, they will probably be armed with enough information to not walk straight into turrets and melt their own face off. Let’s be clear: It’s our fault if a new player didn’t have enough information to play with basic competence. We owe all players those tools and tips to set them up for success. 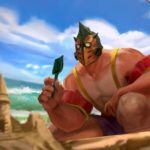 With the introduction of the Academy, there’s a much better starting point for new players—especially those new to the MOBA genre. And for those new players already familiar with MOBAs, there’s a much shorter tutorial video describing what they need to know specifically about Vainglory before jumping into the action. You’ll also notice that the HEROES section has been integrated into the Academy. If you’re looking for hero info, that’s where you’ll find it now. JOULE IS COMING NEXT. AW, YEAH! Joule has big, big plans. You might have seen Joule’s Master Plan or the blueprints of Prototype 8002. Now, you know definitively that Joule is Vainglory’s next hero and that it’s not—as player Ecalzz proposed—a “grand scheme to steal PlayoffBeard’s precious lunch.” If you haven’t seen what Joule looks like yet, jump into the app and start a Practice or Public Match. Joule is in the Hero Select screen with viewable art (although not yet playable) … and you have to see this. The happy, deadly mystery known as Koshka now has a voice! Play her in Practice or a Public Match to hear all her lines. Koshka’s full personality now really comes through during play. Try not to smile. We bet you can’t. We will not stop until you’re getting worthy allies and enemies in every match. Well, maybe almost every match. Our work here is not done, but definitely let us know if you can feel the difference in Matchmaking quality and accuracy. Tapping the mini-map now instantly pans the camera, allowing you to scan across the map much faster. To move across the map, tap on the ground while panning. This change allows for players to “pan-and-scan” across the world much faster, which is an aspect much appreciated in internal playtests. However, players will no longer be able to tap the mini-map to move their hero a far distance. 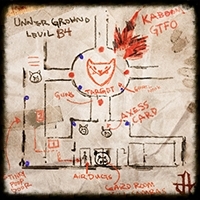 Instead, tap and hold the mini-map on the spot you want to go to, then tap with a second finger in the world. No more perma-slow on Suppressing Fire; no more guaranteed escapes. The slow duration for Suppressing Fire has been reduced to 1.25 seconds (from 1.5 secs). The duration of SAW’s Roadie Run has been reduced to 2.2 seconds (from 2.7 secs). The big boss gets a 10 percent health reduction. The Kraken now has 10 percent less health. Beware of earlier Kraken attempts! For the love of Pete, buy some shielding! Kinetic Shield now costs 950 gold (reduced from 1,100g). Coat of Plates now costs 950 gold (reduced from 1,100g). Fixed a bug that frequently caused most sounds to cut out mid-match. Reduced the game’s memory footprint, which will improve performance and stability on older devices. Misc. performance enhancements and bug fixes. Join the conversation in the forums and let us know what you think of these updates! 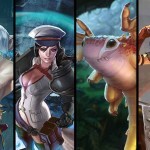 New Free Hero Rotation: Play Skaarf Now!